Stuffed zucchini blossoms and grilled tomato ricotta pIzza are two great ways to celebrate the summer and the harvest of fresh veggies at your local market. I love Stuffed Zucchini Blossoms! I got out early Saturday morning to beat the heat and the crowds at our farmers market, but it seems I wasn’t the only one with the idea, it was packed! The market was full of fresh local fruit and vegetables, (we’re still waiting for field grown Jersey tomatoes) it was a glorious sight! Along with the produce, we also have a nice assortment of other culinary delights, with a free-range meat and egg vendor, and a clam truck, selling little necks and top neck clams. Normally I buy our clams at Wegman’s every week, and for farm-raised clams they’re pretty darn good and very consistent. I bought a bag of little necks and it’s been so long since I’ve had wild caught clams that I’d forgotten just how good they were! Needless to say, I’ll be buying clams at the farmers market for the rest of the summer! But of course, the highlight of my day was finally finding my precious at our farmer’s market! The first blossoms of the year are always a special treat, and we savored each and every bite! If you’d like the recipe for my blossoms, click on this link, Stuffed Zucchini Blossoms. I’m sure we’ll be seeing more of my precious in weeks to come! 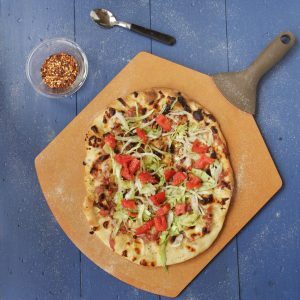 I’ve seen grilled pizza here and there, but not being a master griller, I thought I would try my hand at a more conventional approach using my pizza stone. I heated my grill using all four burners and then shut down the middle two to use a more indirect method of heating. Well, that didn’t work as well as I hoped, after 12 minutes the pizza still wasn’t done, so I cranked up the other two burners and that did the trick. I got some great color on the pie, and the bottom of the pizza was almost perfect. You might also like my recipes for ten delicious appetizers. Using your dough hook, add the flour and the salt and begin mixing. mix for about two minutes, then turn out the dough onto a floured work area and knead the dough for a few minutes. The dough should be fairly dry and elastic when finished kneading. dough will rise slightly but you won't see a dramatic change. As the dough spreads out, make the outer circle of the crust , using your fingers to make the indentations around the circle. begin stretching the dough out until you have about a 12-14 inch circle. It's okay if the dough isn't perfectly round, its rustic! spread the ricotta cheese on the dough, then season with salt, pepper, and grated romano cheese. Add tomato slices then top with shredded mozzarella. 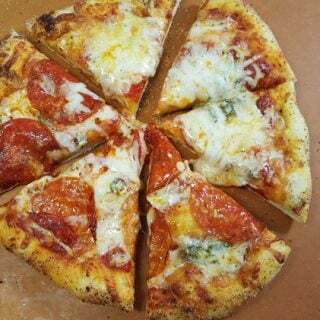 Bake in a 450 degree oven or your closed grill until the dough has gotten nice brown color, and the bottom of the pizza is fully cooked. 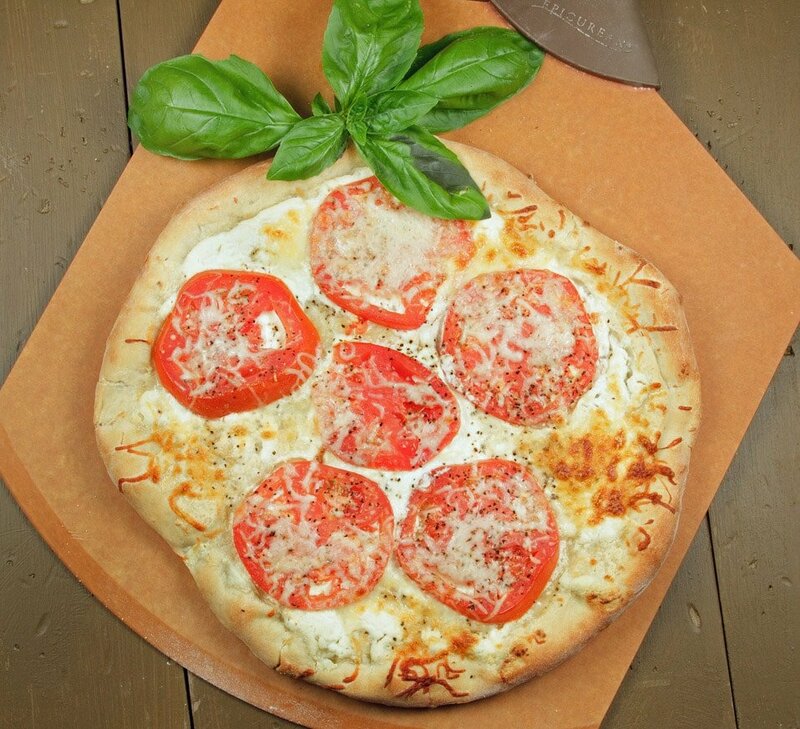 Slice into 6 slices, top with chopped fresh basil and serve! * you can use a rolling pin to roll your pizza dough out if that works better for you. I need to try grilling a pizza. And I really need to try squash blossoms!! So much to do and what to do first?! Oh, how I wish we could share some of your heat. Maybe not all of it… but I’ll take a few degrees off of your hands! We have been gray, drizzly and dreary for weeks and I’m SO ready for summer! As for the pizza on the grill, I don’t do it any other way! That pizza looks awesome. I’m drooling at the computer screen! 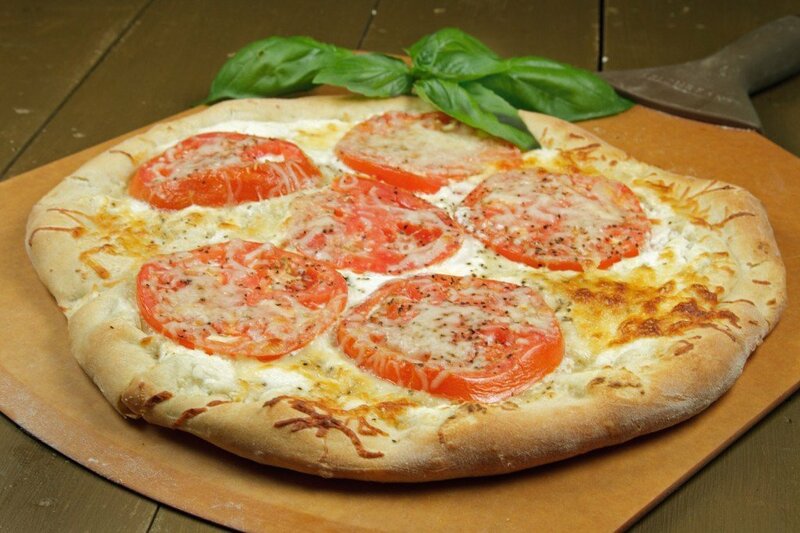 I love white pizzas so this is right down my alley! I really have to check out your blossoms recipe, I love those and always have them if I can at a local place I love to go to. They stuff them with some sort of ricotta mixture..
Don’t retire to Florida, retire to the PNW! We have no armadillos and LOTS of wild, fresh shellfish. Also not a lot of heat to get used to. It’s perfect. I am planning to stuff zucchini blossoms this year, but they are slow in coming and I’m getting impatient. Yours look so delicious. The idea of ricotta on grilled pizza sounds amazing. Should try it, though our grilling season is far away, the oven stone might do a nice job. LOL on the armadillo story! Hola Dennis! I just took a break from painting my house, and I am left mouth watered with this delicious pizza. It looks very tasty! i’m on Lisa’s side…no alligators please. 🙂 I’ve never been able to find squash blossoms. I think I’m going to have to grow my own plants just to pick them. I need to learn how to grill pizza also. I think I”m afraid. You’ve given me inspiration. Looks great for your first try. What about squash blossoms on top of the pizza? Both look fabulous and that would just be an amazing combo! oh I’ll definitely be getting to that later! 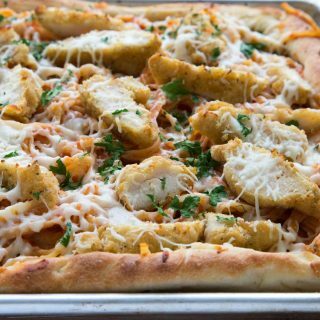 Squash blossom pizza sounds like a wonderful idea! what a pretty pizza, and an excellent use of ricotta! 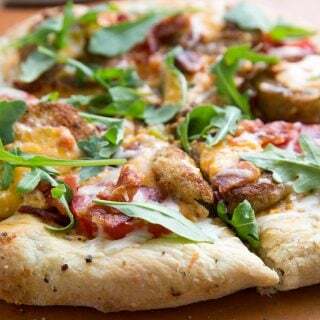 cheese, tomato, and basil. does it get any better than that? Wonderful combinations…. but please don’t eat the armadillos… they are so adorable! We have possums all over and they are kind of cute too.. guess I have a varmint crush! Squash blossoms are in the air these days and the market. 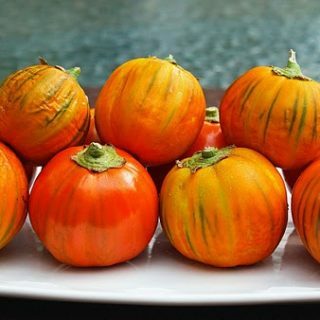 Stuffing them and grilling them or au naturel.. delish –– I don’t think you can go wrong with them. I feel the same way about the heat index. Once the temp gets above 100 I don’t care how hot it feels – hot is hot! The pizza looks amazing, Chef! 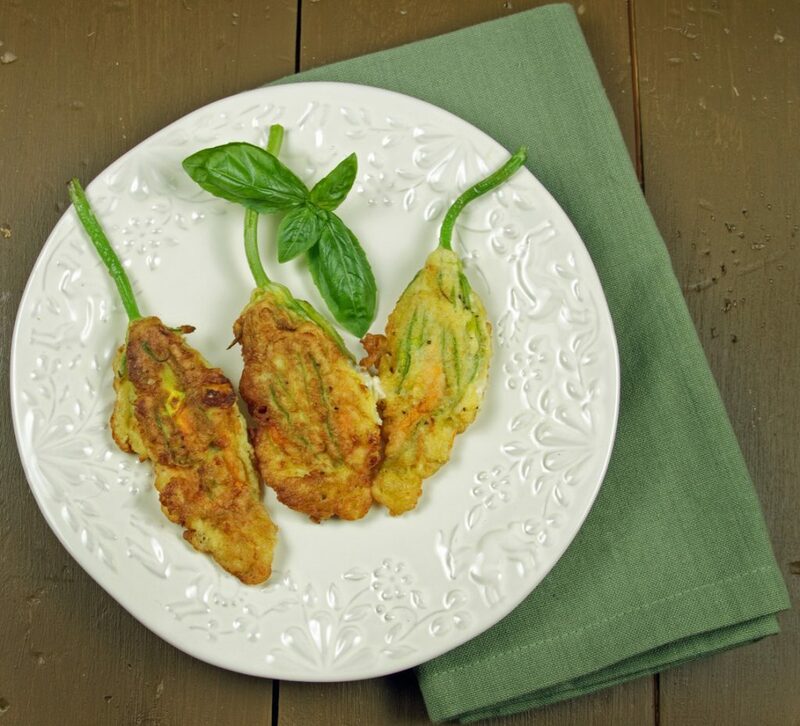 And those zucchini blossoms – truly tempting! Your pizza looks delicious and we’ve gotten to where we use the grill most of the time. With many available male blooms on my plants I really need to try the stuffed blooms. 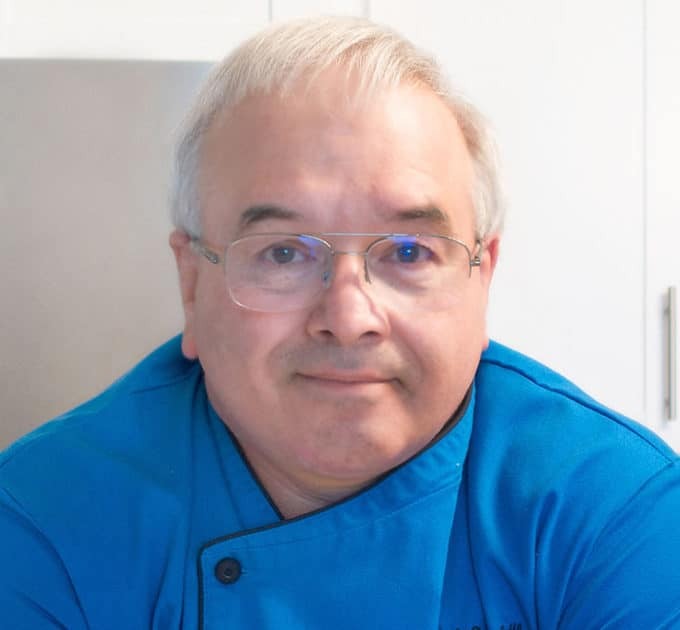 Chef Dennis, I hope you and Lisa have a great trip to Florida! Let us know how it goes 🙂 It makes me happy knowing you found your precious!!! Every time I see the blossoms whether it is at a store, a market or on TV they always remind me of you. But, it never gets too hot not have great pizza!! 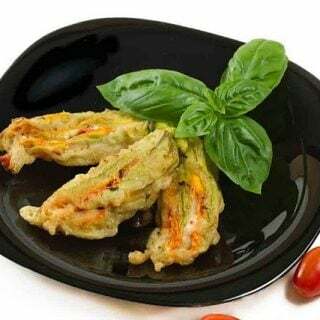 squash blossoms are one of my summer favorites – I’ve always wanted to make my own, yours looks like a good recipe to try! I have squash blossom envy and that pizza looks divine! Love the idea of throwing it on the grill, will definitely be trying! Beautiful post Dennis! Both the pizza and the blossoms look amazing! We have armadillos in Texas. They don’t do anything but eat your garden. we have possums in New Jersey, they are a bit on the strange side!